National Treasure castle Matsumoto-jo is the oldest six story castle in Japan and one of our favorite sights to visit in the mountains. Its black and white exterior set against the shining backdrop of the Japanese Alps makes for some of the most magnificent historical scenery in the country. 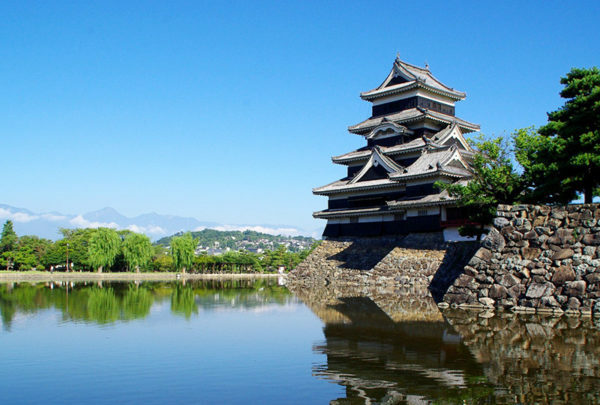 Matsumoto-jo ranks as one of Japan’s finest and most authentic surviving samurai castles and it doesn’t take long to see why once you enter. As you stroll around Matsumoto-jo’s perimeter and moat you will truly appreciate its construction and setting. Tour the castle’s six floors and learn about its intriguing history and many legends. Peer through its battle-prepped windows while you discover how the samurai would fire their weapons to impede their enemies and defend the feudal lords. Spending a day in Matsumoto is a fabulous way to experience one of the great castle towns of Japan. After spending time around the castle, we recommend meandering through Nakamachi Dori with its kura or merchant houses, restaurants and antique shops. If you have an interest in Japanese art, definitely head to the Japan Ukiyo-e Museum, an excellent collection of Japanese woodblock prints. And experience the Utsukushigahara Open Air Museum with its extraordinary alpine views. Himeji Castle is Japan’s most remarkable samurai castle and, unlike many other castles in Japan, miraculously survives in its original form. 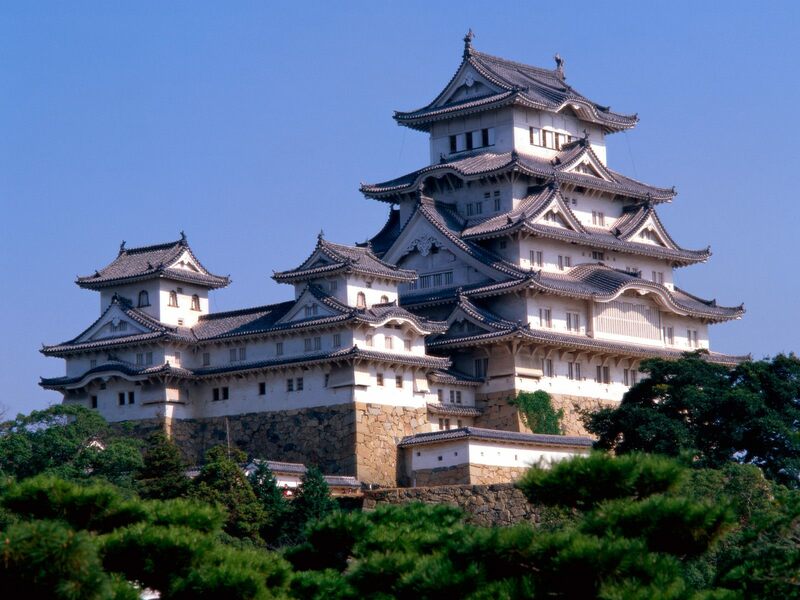 Himeji-jo was designated as one of Japan’s first World Cultural Heritage sites for its historical and universal significance, and is the castle to see in Japan. In exciting contrast to Matsumoto Castle, Himeji-jo is an elaborate complex with wing buildings adjoined by various gates, earthen walls and curving paths. Ascend inside the castle’s main structure with its steep staircases to its upper floor which is home to a small shrine. Learn about the castle’s fascinating architecture such as its fish-shaped roof ornaments which are thought to have protected from fire related attacks. You can really spend hours exploring the castle’s impressive grounds and associated buildings. Touring the largest castle in Japan, a mere one hour away by Shinkansen (bullet train) from Kyoto, makes for a perfect day trip from Japan’s former capital. Himeji is also one of the great destinations for photography during cherry blossom season. Looking to explore the best Japanese castles? Click here to get in touch today.